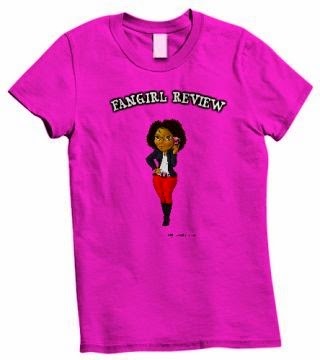 Fangirl Review: Once Upon a Time: s. 3, ep. 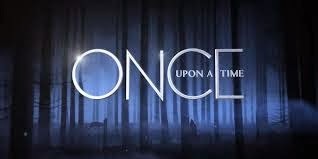 1 "The Heart of the Truest Believer"
Once Upon a Time: s. 3, ep. 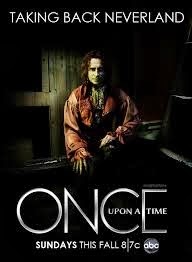 1 "The Heart of the Truest Believer"
Episode starts with a flashback of Emma giving birth to Henry and giving him up. Then fast forwards to modern day with the crew on Hook’s ship arriving in Neverland. I swear this is not the Peter Pan we all grew up knowing. Henry’s kidnappers are now moving on to destroy Neverland. Henry sasses them the whole way. It is enjoyable to see Henry give his kidnappers crap for being idiots. Regina and Hook have an interesting heart to heart about being villains. Emma is currently feeling the loss of both Henry and Neal and is taking her frustrations out on her parents for their optimism. 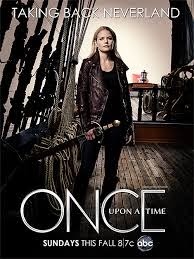 Mr. Gold calls Emma out for her lack of belief in magic and how she will be a hindrance in Neverland because of it. He decides to take off and find Henry himself. The Lost Boys converge on to Henry and the kidnappers and they soon realize that there will be no destroying of Magic. Shadow comes down and rips out the shadow of one of the kidnappers and the other one takes an arrow to the back while Henry runs off. The visual for the ripping of the shadow was done quite well. Neal wakes up with Mulan and Sleeping Beauty. He is surprised to be back to the Enchanted Forest. Beauty says she can use the sleeping curse to make contact. 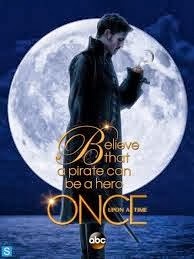 After Hook gives Emma a sword that was Neal’s the ship becomes under attack by mermaids. I wonder if we will get to meet Aerial. There are mermaids so Aerial should be there! Sadly she is not. Charming, Snow, and Emma work to catch a mermaid. Regina throws fireballs at the mermaids who then run off. They still have the mermaid they caught. While they debate about what to do with the mermaid, the mermaid is able to send out a distress signal. Neal apparently thought about his homeland and that’s how he ended up there. He tells Mulan that she is a story and has a movie. This made me giggle. Mr. Gold finds Tamara the kidnapper and questions her where Henry is. She has the nerve to apologize and beg for her life. Mr. Gold rips out her heart, rightly so. I mean did she really think he would forgive her for killing his son and kidnapping his grandson. The little S.S. Minnow is overtaken by a huge wave. The fighting within the group while in normal circumstances would have been fine but c’mon lets be realistic. 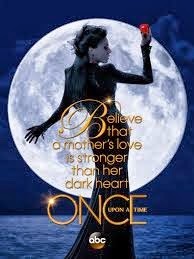 If you need to survive and you do not want to be a killer but Regina is more than willing to let her hands get dirty then so be it. They were so busy fighting amongst themselves that they set themselves up to be killed. I am getting sick and tired of Snow always blaming Regina for everything. Emma realized their anger is fueling the storm and jumps off the boat to get their attention but manages to get hit by falling debris. Charming jumps in the water to save Emma. Everyone has to work together to help save her. Mulan and Neal meet up with Robin Hood. 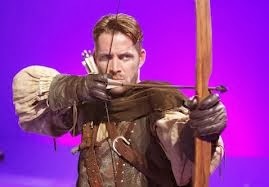 Apparently Robin Hood took over the castle but lets Neal look around. Neal uses a staff to open a cloaked door. In the closet Neal finds a crystal ball and uses it to find Emma. He is dismayed to learn that Emma is in Neverland. Mr. Gold meets up with on the Lost boys. Pan lets him know that he is an enemy if he is here for Henry. I wonder why they have yet to use the name of any of the boys. Mr. Gold is given a doll that causes him to break down crying. Emma points out they all need to work together as a hero, villain, pirate, etc. That all skills are needed and no one way is correct. Henry is helped by a former Lost Boy. The Lost Boy stole pixy dust. Henry tells him that his family is on their way. Henry and Lost Boy use the pixy dust to fly and it works because of Henry. They fly off away from the Lost boys. Peter Pan is the former Lost Boy and has tricked Henry. Pan is after the heart of the truest believer. He now has Henry with that heart. I wonder why he needs him. If he needs him to do something in particular in regards to have the true heart or if he can start a new fairytale? 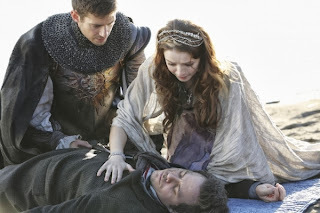 What do you think about Henry having the heart of the truest believer and what do you think it means?